Arundel, Ashmore, Benowa, Biggera Waters, Broadbeach, Bundall, Burleigh Heads, Carrara, Clear Island Waters, Coombabah, Coomera, Gaven, Helensvale, Hollywell, Hope Island, Labrador, Main Beach, Mermaid Beach, Mermaid Waters, Merrimac, Miami, Molendinar, Mudgeeraba, Nerang, Ormeau, Oxenford, Pacific Pines, Paradise Point, Parkwood, Pimpama, Reedy Creek, Robina, Runaway Bay, Surfers Paradise, Tallai, Upper Coomera, Varsity Lakes, Worongary and Yatala – and many more! We are extremely passionate about the quality and service that we provide to our catering clients across the Gold Coast and only use the freshest ingredients available to us. 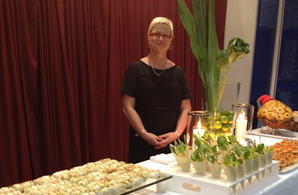 Budget Gourmet Catering and our suppliers are HAACP approved which means that they are also passionate and diligent about record keeping and the quality of their produce. 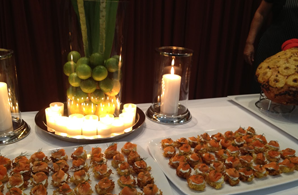 Our catering covers a variety of styles, specialising in Finger Foods, Cocktail Parties. Private Catering, Weddings, birthday’s, Special occasions, Celebrations, Christmas Parties, Wakes etc. All our food is homemade and prepared fresh the day of your function especially for you. Budget Gourmet Catering has an “off site liquor licence”. tailored to your needs. All glassware and equipment available as well. Perhaps you would like to source your own wine….we would be delighted to serve it for you. All our bar staff are fully trained and hold current RSA Certificates. We look forward to catering for your upcoming event.